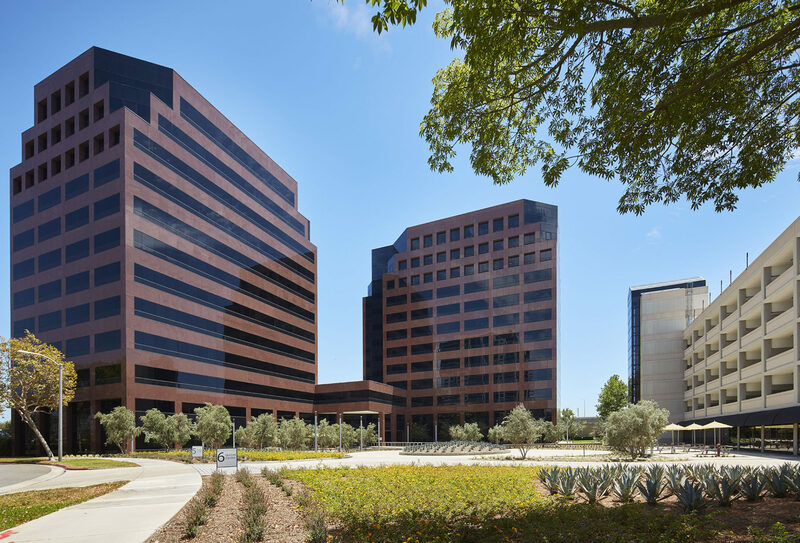 The Griffin Towers project consisted of the exterior renovation of 2, Class “A”, landmark office towers totaling 555,933 Square Feet, as well as accompanying retail storefronts. 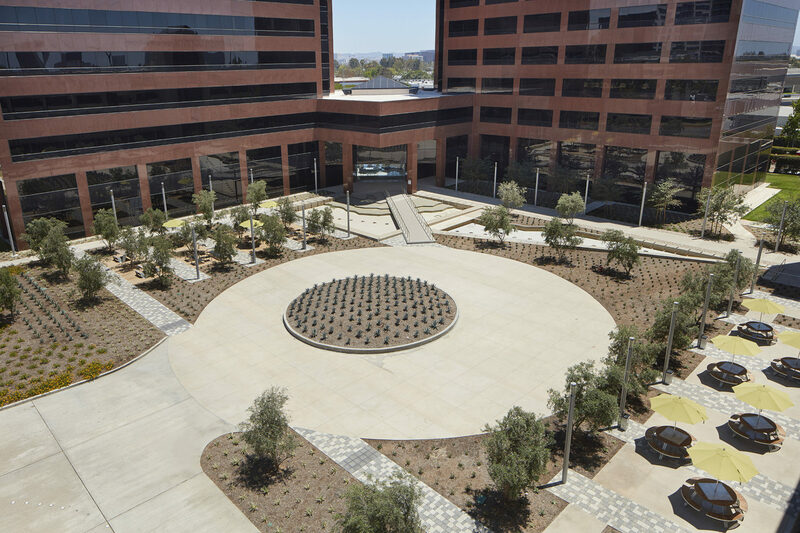 The scope of work included heavy exterior demolition to the entire front entry area including the auto court, pedestrian walkways and drop-off area, and lobby entrance. 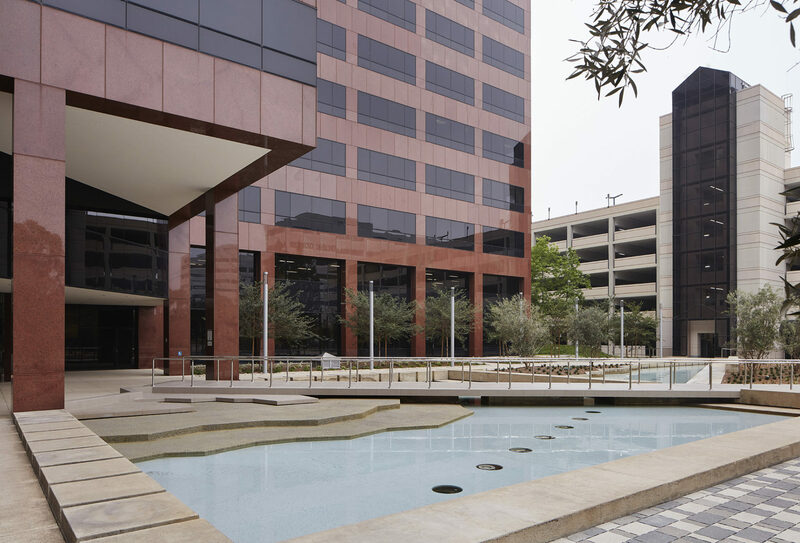 New improvements included new hardscaped pedestrian walkways and bridges, extensive atwork, decorative pavers, new landscape throughout, amenity and seating areas and updated storefronts. All work was completed during normal business hours while the building remained open and occupied. 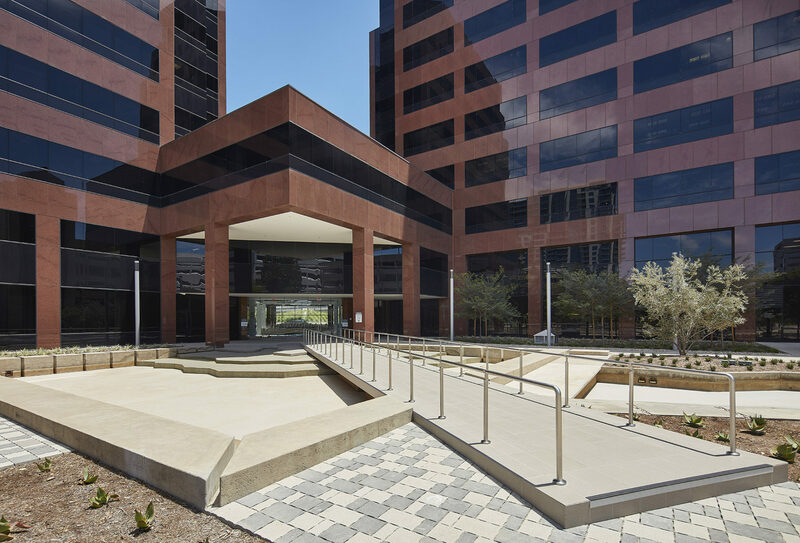 Extensive phasing and logistical plans were developed in order to mitigate the impact of construction on existing building patrons and tenants.